Charles Marson, Administrative Law Judge (ALJ), Office of Administrative Hearings (OAH), Special Education Division, State of California, heard this matter on March 1, 2007, in San Jose, California. Student’s father (Father) and mother (Mother) jointly represented Petitioner (Student). Summer Dalessandro, Attorney at Law, represented Respondent Moreland School District (District). Mother and Father were present throughout the hearing. Dr. Jamal Splane, the District’s Director of Student Services, was present throughout the hearing. The request for due process hearing was filed on November 30, 2006. No continuance was ordered before the hearing. At the hearing on March 1, oral and documentary evidence were received, oral arguments were made, and the matter was submitted. b) Failing to provide to Student two hours each school day of individual academic tutoring by a certificated teacher? 2. Is Student entitled, as relief, to the provision of two hours each school day of individual academic tutoring by a certificated teacher, retroactive to September 2006, and/or to additional tutoring to compensate for tutoring that should have been provided but was not? Student, who transferred into the District in the summer of 2006 from FUSD, contends that the District was required by law to continue to provide to him, throughout the SY 2006-2007, academic tutoring comparable to the tutoring he had been receiving under his Individualized Education Program (IEP) at Fremont, and did not do so. In the alternative, Student argues that the District has failed to provide to him two hours a day of individualized academic instruction by a certificated teacher, and that his poor performance in school and his lack of academic progress compel the conclusion that he would benefit so much from such tutoring that the District has denied him a FAPE by failing to provide it. The District contends that Student was not entitled to, and was not receiving, two hours of academic tutoring a day under his Fremont IEP. It asserts that it was not obliged to adhere to the Fremont IEP except as a transitional plan, which it did. Then, by choice, it adopted the Fremont IEP as its own for the SY 2006-2007. The District also contends that Student’s academic progress, while not extensive, is meaningful in light of his substantial cognitive delays. Finally, it argues that Student is already receiving substantial individual academic tutoring in the Special Day Class (SDC) he attends, and would not benefit from any additional individual tutoring. 1. Student, a 6-year-old male, resides with his parents (Parents) within the District. He is eligible for, and has been receiving, special education because of a speech and language impairment. He is in the first grade at the District’s Payne Elementary School (Payne). 2. A school district must adequately address all the unique needs of a student eligible for special education for any reason. 3. Student has a substantial speech and language impairment manifested by severe expressive and receptive language delays. He speaks English at school and Farsi at home. He demonstrates significant developmental delays in all areas, and is at pre-school levels in English, language arts, reading, and mathematics (math). The parties dispute whether Student is so mentally retarded that he is eligible for special education on that ground. 4. A school district must offer a student eligible for special education an IEP that is reasonably calculated to afford him some educational benefit. 5. On February 7, 2006, while Student was attending kindergarten at the Maloney Elementary School in Fremont, Parents and FUSD agreed on an IEP that placed him in a Special Day Class (SDC) and provided 30 minutes of speech therapy twice a week. On March 1, 2006, at another IEP meeting, Parents requested that Student be assigned a one-to-one aide, but FUSD declined. 7. On September 22, 2006, Parents and the District met and agreed to adopt, as the District’s IEP for Student, the essential elements of the Fremont IEP: placement in a small group SDC, and 30 minutes of speech therapy twice a week. Parents requested that Student be assigned a one-to-one aide, and the District agreed to consider the request. It is not clear when, or whether, the District responded to the request before the next IEP meeting, but it did not provide Student a one-to-one aide. 1 The District was tardy in beginning to provide speech and language services to Student, but has since made up the services that were missed. Student makes no claim here that his speech and language services are inadequate. 2 Father, representing Student, offered to call Student as a witness so that Student could perform academic exercises during his testimony, guided by Father. This allegedly would have demonstrated that Student is capable of greater performance than the District now elicits from him. The offer of proof was rejected on the grounds that the Administrative Law Judge lacked the expertise to evaluate such a demonstration or to compare Student’s work to that of his peers; and that, since the demonstration had not yet occurred, it was irrelevant to the adequacy of any decision the District had already made. 3 One aide goes home slightly before the end of class. 4 Whether Student’s mental retardation would make him eligible for special education is not at issue here and is not decided. 8. On November 6 and 27, 2006, Parents and the District met again to consider Student’s progress. At both meetings, Parents again requested a one-to-one aide. The request was declined at those meetings, and, on November 29, formally declined by letter. The next day, Parents requested this due process hearing. 9. Parent’s requests for tutoring are recorded in District documents as requests for a one-to-one aide in the SDC. Such an aide is not required to be, and normally is not, a certificated teacher. At hearing, Parents argued that these requests were for two hours of individual academic instruction each school day by a certificated teacher. That accurately describes the relief they seek, if not their previous requests, so references to tutoring herein are references to academic tutoring by a certificated teacher unless the context requires otherwise. 10. 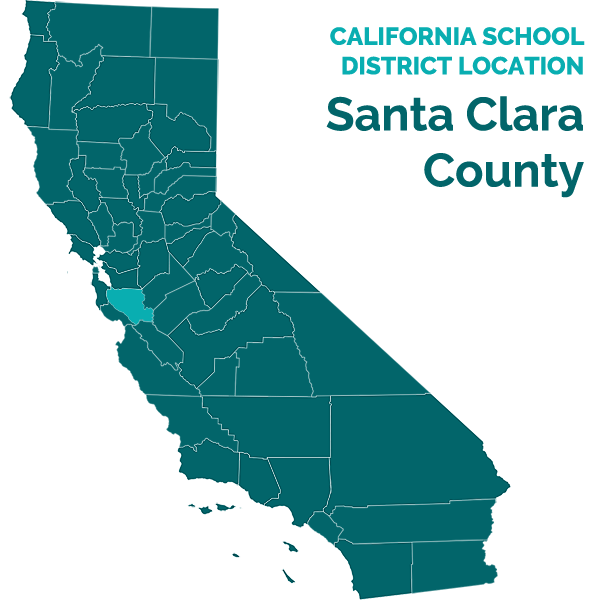 A special education student who transfers to one California school from another California school in a different special education local planning area (SELPA) must, for up to 30 days, receive instruction and services from his new school that are comparable to those he received at the old one. By the end of 30 days, the district must adopt the previous IEP as its own, or develop, adopt, and implement a new one. 11. FUSD and the District are in different SELPAs. 12. The District did not provide tutoring to Student at Payne, either in the first 30 days he was there, or later. 13. Student insists that he received tutoring under his February, 2006, Fremont IEP, and should therefore have received it from the District when he transferred. The District argues that Student did not receive tutoring in Fremont. 14. Student’s Fremont IEP does not state that he was to receive tutoring. Student’s Fremont program was set forth in an IEP dated February 7, 2006, with an addendum dated March 11, 2006. The program it provided to Student was set forth on a page commonly called a “services” page. Under the heading “Education Programs and Related Services,” there is a list of various kinds of instruction and services. To the left of the list is a column of check boxes entitled “considered”; to the other, there is a column of check boxes entitled “offered.” The latter contains checks by special day class and speech and language. There is no indication that individual tutoring was offered or considered. District witnesses testified persuasively that it is standard practice for a school to put instruction and services offered on the services page, not elsewhere, and that if Student had been receiving tutoring at Fremont, that fact would have appeared on the services page. The District’s IEP from September 22, 2006, which adopted the Fremont IEP, does not provide for tutoring. 15. To prove that he received tutoring under the Fremont IEP, Student relies on an entry on a page of the IEP entitled “Consideration of other special factors and support services.” Under the caption “Program Modifications or Supports for School Personnel” is a handwritten entry stating: “[Student] benefits from 1 to 1 instructional services.” It is signed by Jack Bannon, the Director of Special Services for FUSD. The statement is dated June 7, 2006, at the end of Student’s year at Fremont, although it is written on a page of the February 7, 2006 IEP. 16. The parties dispute the meaning of Bannon’s statement. Student says it proves he was receiving tutoring at Fremont. The District says the statement was a meaningless gesture arising out of extensive disputes between Parents and Bannon, and was written by Bannon simply to mollify Parents until they moved out of his district. Dr. Splane testified that he telephoned Bannon, who provided that explanation. However, Bannon did not testify and was not available for cross-examination, so a hearsay objection to that testimony was sustained. 17. It does not matter why Bannon wrote “[S]tudent benefits from 1 to 1 instructional services.” The statement is ambiguous and does not prove what Student claims it proves. It does not say he was receiving academic tutoring from a certificated teacher. It may mean he benefited from the sort of one-to-one instruction he received in Fremont’s SDC. It says only that Student “benefits” from such instruction, not that it was required by the IEP. 18. The weight of evidence shows that Student did not receive tutoring at Fremont. Sincer Bannon’s statement is ambiguous, and was made for reasons unknown, and since Bannon did not testify, his statement is entitled to no weight. Student produced no evidence other than Bannon’s statement to prove he received tutoring at Fremont. The IEP itself is the only reliable guide in the record to Student’s program at Fremont, and it shows that the services offered and received did not include tutoring. 22. First, Student already receives substantial individual tutoring from the teacher and her aides in the SDC. Dr. Jamal Splane is the District’s Director of student services. He has a doctorate in educational psychology, a master’s degree in education, a pupil personnel services credential, and a limited administrative services credential. He has worked for the District for five years. He knows Student from Student’s IEP meetings and observation of him in the SDC. 23. Dr. Splane described the faculty-student ratio in Student’s SDC. At the beginning of the year, the class had seven kindergartners and four first-graders, including Student. There were 12 students in the morning, and then after lunch, when the kindergartners left, five remaining first graders until the end of class. The class is taught by one teacher and two aides. Thus there was a faculty-student ratio of one to four in the morning, and three to five in the afternoon. Since the beginning of the year, the number of students in the class has dropped to 10, making the faculty-student ratio more favorable, and making possible more individual instruction. 24. Nancy Kamalski, Student’s SDC teacher, has been a teacher for 24 years, and has been employed by the District for six years. She has a bachelor’s degree in social sciences from the University of California at Berkeley, a California elementary credential from San Francisco State University, and a severely handicapped credential from San Jose State University. She has known Student since the first day of SY 2006-2007. At present he is one of four first-graders in her class, which now includes six kindergartners. 25. Kamalski described a typical day in her SDC. The students arrive by bus a few minutes before 8 a.m. and line up at the door, which is opened at 8. The class begins with 15 minutes of reading. Next are circle time and desk work, and then the students break into three small groups around “centers,” each of which is run by Kamalksi or one of her two aides. Academic instruction is concentrated in these small groups. After morning recess and more circle time, the students return to their small groups for more academic work. 26. After the lunch break, the kindergartners leave and the first-graders return to small groups for the study of reading, math, science, and social studies. They attend physical education on Tuesday afternoons and performing arts on Thursday afternoons. The school day ends at 2:35 p.m.
27. Kamalski testified that her students receive one-to-one instruction in circle time and in their small groups. The small group instructor works with each student in turn. The time given to a student in this “rotation” varies with the abilities of the student; a slower one is given more attention. Kamalski estimated that, on an average day, Student receives individual instruction in circle time or in his small group for approximately 30 percent of his school day. 28. Morgan Davis has been employed by the District for four years, first as a psychology intern and then as a school psychologist. He has a bachelor’s degree in Psychology, a master’s degree in school psychology, and a Pupil Personnel Services credential. He conducted a triennial assessment of Student in December 2006, and is the case manager for Student and other students in Kamalski’s SDC. As part of his duties, he talks to Student individually about once a week for about 15 minutes, and regularly visits the SDC . 30. Student did not dispute the District witness’ description of the individual instruction he receives in the SDC. 31. Second, there was no evidence that Student requires a certificated teacher, rather than an aide in the SDC, as an academic tutor. 32. Third, more individual instruction is not necessarily better for Student. Kamalski testified that, in her opinion, Student would not benefit from more individual instruction than he is now receiving, because it would make him overly dependent upon individual tutors and less able to perform in groups. No contrary evidence was introduced. 33. Because Kamalski’s 24 years of experience lend weight to her opinion, and because Student produced no evidence to the contrary, the weight of evidence showed that Student does not require any more individual academic instruction than he is now getting in the SDC. 34. Finally, there was no evidence that, in light of Student’s cognitive limitation (see below), the tutoring he seeks would even be useful to him. 35. The progress of a special education student must be measured in light of his capacity for progress. 36. School psychologist Morgan testified that in December 2006, he conducted a cognitive assessment of Student. As part of that assessment, Morgan examined two previous cognitive assessments conducted in 2004 and 2005 by FUSD. 37. Morgan testified, and his report confirms, that in the first Fremont assessment, Student manifested global developmental delays sufficiently serious to make him eligible for special education as mentally retarded. Parents objected to the finding, and persuaded Fremont to classify Student as eligible due to speech and language impairment instead. 38. In Fremont’s second cognitive assessment, Student’s overall score placed him in the first percentile compared to his peers. FUSD again acceded to Parents’ request to classify him as eligible due only to speech and language impairment. 39. Morgan’s own cognitive assessment, in December 2006, produced results similar to those obtained by Fremont. Student’s cognitive delays prevented Morgan from successfully administering several standard tests. Morgan succeeded only in administering the Universal Nonverbal Intelligence Test (UNIT), which examines visual memory, reasoning, and visual-spatial skills. Student’s score fell in the test’s “Far Below Average” classification and placed Student below the first percentile compared to his peers. Morgan conducted the UNIT properly and according to its published instructions. He concluded that Student is mentally retarded. 40. Teacher Kamalski testified that Student is at the bottom of his class academically, as a result of his abilities. 41. Father, Student’s only witness, testified that, in his opinion, the test score obtained by Morgan showing that Student is mentally retarded is not valid because the test was biased against Student for reasons of his culture, ethnicity, and language. At an IEP meeting, Father asked Morgan whether he was trained in Student’s culture and language. Morgan said no. In Father’s opinion, Student’s cognitive abilities cannot be properly measured unless the test is conducted in Farsi by someone trained to consider the fact that Iran is the family’s country of origin. 42. Father’s opinion that Morgan’s cognitive assessment was inaccurate because it was biased culturally, ethnically, and linguistically, was not persuasive. No expert so testified. Father was not present at the tests, did not produce the tests, and did not explain the bases for his opinion. Father did not address the validity of the two Fremont cognitive tests, which obtained similar results. 43. The District presented persuasive evidence that at least two of the three cognitive assessments were not biased. Morgan testified that when a student may be disadvantaged in cognitive testing by ethnic, cultural, and language factors, the proper procedure is to administer a nonverbal test. He testified that his assessment was based on the single test he successfully completed: the Universal Nonverbal Intelligence Test (UNIT), which does not rely on language. Instead, it provides all directions and receives all responses by gestures. Morgan’s report notes that the Fremont assessment in June 2005 was based on the Leiter International Performance Scale, a test that is also not dependent on language because directions are pantomimed and responses are nonverbal. On both those tests, Student’s scores were in or near the first percentile. 44. Because Student did not support Father’s opinion with other evidence, did not address the fact that two of the three cognitive assessments were nonverbal, and did not respond to Kamalski’s opinion that his place at the bottom of his class was a function of his ability, his evidence of his cognitive ability was less convincing than the District’s. 46. All District witnesses testified that, in their opinions, Student is making adequate progress at Payne in light of his limitations. In her testimony, teacher Kamalski measured Student’s performance by examining his progress toward the four goals written by FUSD in February 2006, and adopted by the District in September 2006. Her testimony was supported by Student’s written progress reports. At Fremont, Student could not cut accurately with scissors along a line. His first goal was that, when given a circle and a square, he would be able to cut the shapes to within one-half inch of the line with 70 percent accuracy in four of five trials, and then within one-quarter of an inch with 60 percent accuracy in four of five trials. Kamalski testified that Student can now cut these shapes within a half-inch of the line between 60 and 80 percent of the time, and a quarter-inch about 50 percent of the time. 47. At Fremont, Student was able to identify the numbers one through three. His goal was to identify the numbers 1 through 15 with 80 percent accuracy in four out of five trials. Although he has not yet met that goal, Kamalski testified, he now can identify the numbers one through five, and seven, with 90 percent accuracy. In addition, he can now count sequentially (if not accurately), a concept he did not understand on arrival. 48. At Fremont, Student understood that letters are representations of the alphabet, but could not identify individual letters. His goal was to identify the five principal vowels from flash cards with 60 percent accuracy in four out of five trials. Kamalski testified that by January 2007, Student could identify two letters with 90 percent accuracy, and four more with 70 percent accuracy with prompts. 49. At Fremont, Student could use utterances of only two and three words, and then only with prompts. His goal was to use three to five word phrases or sentences to describe pictures, answer “wh” questions in eight of ten trials, and comprehend basic prepositions with 80 percent accuracy. By January 2007, according to Kamalski, Student could use three to five word phrases about 60-to-80 percent of the time, although he was not always on topic; he could answer “wh” questions in three-to-five words if he understood the topic; and he could comprehend the prepositions on, in, under, and over, but only with prompts. 50. Kamalski testified that Student has met the first part of his first goal (cutting) and probably the second part as well, and has made progress toward all the other three goals. Kamalski added that Student now engages in much more spontaneous speech than when he arrived, and is much better at staying on topic when he does. In addition, Kamalski called it “huge” progress that Student could now walk from the bus and line up with the other students in the morning without requiring prompting. Overall, his progress is about what she would expect. 51. School psychologist Moore confirmed Student’s progress as described by Kamalski. Moore testified that Student, on his arrival, was not initiating much play, but he does now. He has learned class routines he could not master when he entered the SDC. He handles transitions from outside to inside the classroom much better than he did at first. He has improved socially. Moore has been told by other teachers, and by Student’s speech and language therapist, that they also thought Student was making progress. 52. Student produced no evidence that he was not making the progress described by District witnesses. Instead, Student infers from his continuing position at the bottom of the class that he could not be making any progress. The inference is invalid. As Moore and Kamalski testified, progress is measured not against others (who are progressing at the same time), but against Student’s own earlier performance. It is by applying that standard that the District witnesses concluded that Student is making adequate progress. 54. In light of Student’s substantial cognitive limitations, his progress, though modest, is meaningful and more than trivial. 55. Based on the foregoing Factual Findings, Student is not entitled to relief, so it is unnecessary to consider his proposed resolution. 4. Based on Factual Findings 3, 6-8, 21-52, and 55, and Legal Conclusions 1-3 and 5-16, the District has provided Student a FAPE, even though it has not provided him two hours a day of individual academic tutoring by a certificated teacher. Student did not prove that such tutoring was necessary to provide him a FAPE, or even likely to be helpful to his education. He did not prove that his poor performance in school results from anything other than his cognitive limitations. 6. Based on Factual Findings 5-7 and 11-19, and Legal Conclusion 5, the District complied with the statutory requirements for providing a FAPE to an incoming student. On Student’s arrival it gave him, and is still giving him, education and services comparable to those he received in Fremont. Since Student did not receive tutoring under his Fremont IEP, the District was not obliged to provide it. Instead of asking whether the IFSP was adequate in light of [the student’s] progress, the district court should have asked the more pertinent question of whether the IFSP was appropriately designed and implemented so as to convey [the student] with a meaningful benefit. It is clear that the benefits obtainable by children at one end of the spectrum will differ dramatically from those obtainable by children at the other end, with infinite variations in between. One child may have little difficulty competing successfully in an academic setting with nonhandicapped children while another child may encounter great difficulty in acquiring even the most basic of self-maintenance skills. Rowley, supra , 458 U.S. at p. 202. The educational programs of [these] children depend on the individual abilities of each child. Where basic self help and social skills such as toilet training, dressing, feeding, and communication are lacking, formal education begins at that point. If the child masters these fundamentals, the education moves on to more difficult but still very basic language, social, and arithmetic skills, such as counting, making change, and identifying simple words. 14. Based on Factual Findings 3, 35-52, and 54, and Legal Conclusions 7-13, Student has derived academic benefit from his current IEP and has made meaningful and non-trivial progress under it. Student’s cognitive limitations are substantial. Student did not prove that, in light of those limitations, he has the ability to progress more rapidly than he is progressing now. 16. Based on Factual Findings 1-54 and Legal Conclusions 1-15, Student did not discharge his burden of proving that he was denied a FAPE. For the foregoing reasons, Petitioner’s request is denied. Education Code section 56507, subdivision (d) requires this decision to indicate the extent to which each party prevailed on each issue heard and decided. The District prevailed on both issues.